1. Buy less. I try not to repeat my wardrobe – for example, I have one black skirt and I have found myself wanting to buy a similar skirt again. However, I remember I already have a black skirt, and therefore I don’t need another one. The same thing goes for t-shirts. How many navy t-shirts does one person need? (Answer: only 1). 2. Wear less. I have found that I can cut back on my kids’ wardrobes by doing the laundry more often. If I only do laundry once per week, they need 5 pairs of pants for school, but if I do the wash in the middle of the week, they can get by with less pairs. 3. Shop end of season sales. I have found lots of great things on deep clearance at the end of the season, and the good thing is that the end of the season doesn’t mean it’s the end of the weather – it is still hot out when summer clothes go on clearance! 4. Online shopping. It tends to be easier to find sales online. You can often find a lot of great deals that way. I do find it sometimes hard to find working coupon codes, so that is one benefit of the next suggestion – you will always get a discount! 5. Cash back sites. I recently learned about Giving Assistant, a free digital loyalty program, over 1,100 largest retailers, avg. of 5% cash reward after each online purchase. I just signed up for this site and I am happy to share it with you! How Giving Assistant Works: Retailers pay Giving Assistant a commission for purchases originated from their website, usually a percentage of the sale. For purchases originated by members, they pay the entire commission as cash back directly and digitally to members. For non-member purchases , they give a donation to Feed America. 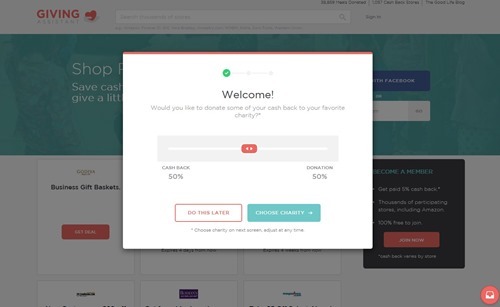 Members are given the option to automatically donate any % of their cash back to any charity of their choice. When you join, you can choose to donate to a charity of your choice. 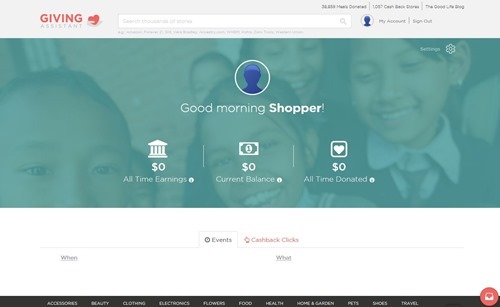 You can earn 100% of the cash back yourself or share it with a charity. You can even donate all of your cash back. You can also change this later if you want to. You can get cash back when shopping at over 1100 retailers! Personally, I’m excited to earn cash back from shopping at Amazon! Right now, cash back is at 5% for Amazon! Let me know if you decide to check out Giving Assistant or use any of my other money savings tips! This post was sponsored by Giving Assistant. All opinions are my own.